The YART Yamaha Official EWC Team and GMT94 Yamaha Official EWC Team have positioned themselves as key protagonists for the second round of the 2016 FIM Endurance World Championship (EWC) at the Autódromo Internacional do Algarve. 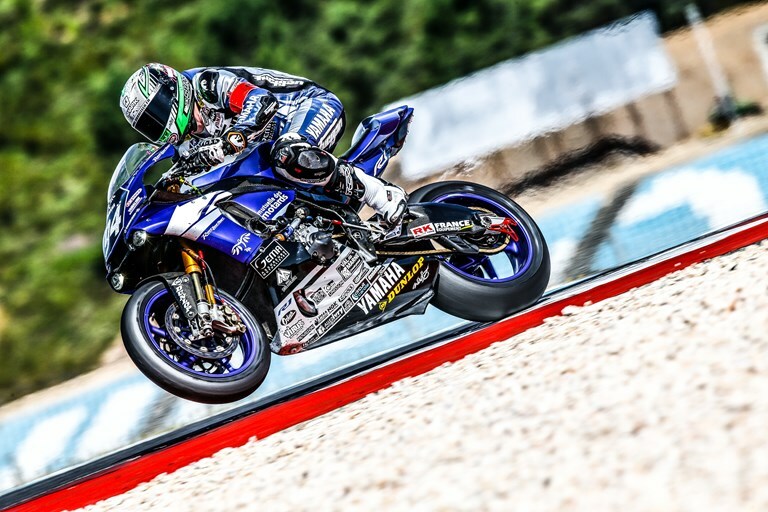 They showed the strong power of the Yamaha YZF-R1 today in a tense qualifying session and will start the 12H Portimão race from second and fourth place respectively. The officially supported Yamaha teams already demonstrated their YZF-R1s’ tremendous potential during yesterday’s first qualifying practice, when the YART team clocked an average time of 1’47.178s for provisional pole, with the GMT94 not far behind in third place with an average lap of 1’47.671s. Yesterday’s fastest man, Broc Parkes, was again quick to push his Yamaha YZF-R1 to the limit in an effort to maintain his advantage in the timesheets. He soon set a 1’45.572s for provisional pole, before being pushed back by crowd favourite and fellow Yamaha rider Miguel Oliveira. Parkes quickly returned to the pit box and once he was back out on track he was in fourth place with three minutes remaining to deliver the perfect lap. The Australian rose to the challenge and set a 1’45.925s to slot into second place. It was then the turn of Marvin Fritz to show what he could do with the nimble Yamaha. Immediately making a strong impression as the session began, he soon positioned the number #7 bike in third place, clocking a best lap of 1’47.130, before returning to the pits. As the challenge intensified in the second rider session he was initially pushed back to fourth place, but he dug deep and improved his time to a 1’46.028s for provisional pole, before eventually claiming third in the final minutes. Third rider Iván Silva took over the bike to close the Q2 session. He was determined to set a fast time but red flags early on in the final qualifying practice delayed his progress. The Spaniard was unfazed however, and showed great determination when he returned to action, posting a 1’46.972s for fifth place, 0.701s from the front. For the GMT94 team it was David Checa who took to the track first. He was strong in the rider one session and climbed up to sixth place with a 1’47.757 lap, before heading back to the box. The last minutes of the session saw a flurry of activity as the pace picked up. Despite not having any qualifying tyres available for the team, he continued to improve his time to finish in eighth place, 1.842s from first, with a best lap of 1’46.999s. Niccolò Canepa was up next and smoothly rode the number #94 YZF-R1 to fourth place on his third lap with 1’47.332s. After a quick pit stop he was in fifth position, but the Italian had more tricks up his sleeves. He bettered his time, dropping a 1’46.023 in the closing stages of the session to secure fourth place, 0.787s from the front. Third rider Lucas Mahias continued the fast pace his teammates had displayed and immediately positioned his Yamaha at the top of the time sheets with a 1’46.941s, just in time before the session was red flagged. When the third rider session was restarted, he was temporarily pushed back, as multiple riders put in a hot lap, but he pushed out a 1’46.384s lap in the final stages to wrap up the day in second place, 0.113s off first. Today’s results give YART second place on tomorrow’s grid with an average time of 1’46.307s, just 0.050s from first. GMT94 team will start tomorrow’s race from fourth, having clocked an average time of 1’46.542, 0.285s from the front.